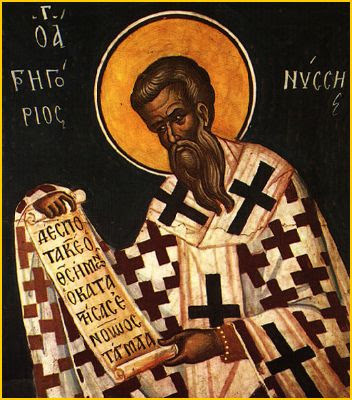 Meletius became bishop of Antioch when the Church was in the throes of the Arian heresy. Meletius became bishop of Antioch when the Church was in the throes of the Arian heresy. When it became clear he did not support Arianism, as the imperial household required, Meletius was forced into exile. Subsequently restored, he went on to preside at the Council of Constantinople (381), which approved the formula that Jesus is “homoousios”, “consubstantial”, “of one being” with the Father. Patrick Duffy tells his story. When we say in Nicene Creed that we believe that Jesus is “consubstantial (= of one being) with the Father”, we are probably unaware of all the controversies that went on in the 4th century before that term finally became the touchstone of Catholic orthodoxy. The argument was carried on mostly in Greek between Arians who would concede that Jesus was “of a similar substance” ( Greek homoi-ousios) as the Father, but would not accept the Catholic position that he was “of the same substance” (Greek homo-ousios or Latin consubstantialis). And there were other positions in between. Meletius, who was born at Melitene in Lesser Armenia (south-eastern Turkey) of wealthy and noble parents, first appeared at the synod of Seleucia in the autumn of 359, as a supporter of Acacius, bishop of Caesarea, whose compromise formula was then in favour with the Arian-supporting imperial household. This led to his being appointed a bishop, first at Sebaste and later at Antioch in the belief that he was on the imperial side and supported Arianism. It soon became clear that Meletius was firmly on the side of Catholic orthodoxy. There was a threefold split in the Church at Antioch, and he fought his corner for a while, but was exiled by order of the Arian emperor Valens. 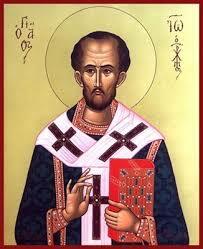 Eventually under influence of St Basil of Caesarea he was restored and hailed as a leader of orthodoxy. 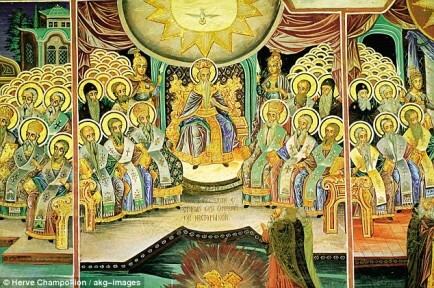 He presided in October 379 over a synod of Antioch, in which the dogmatic agreement of East and West was established. He helped Gregory Nazianzen to the see of Constantinople and consecrated him and also presided over the Council of Constantinople in 381. Soon after the opening of the council, Meletius died and the emperor Theodosius I, who had received him with special distinction, ordered his body to be carried to Antioch and buried with the honours of a saint. The disputes continued in the Church for another generation. Meletius was a holy man, whose ascetic life was remarkable in view of his great private wealth. He was also a man of learning and culture, and widely esteemed for his honourable, kindly and straightforward character. He is venerated as a saint and confessor in both the Roman Catholic and Orthodox Eastern Churches.